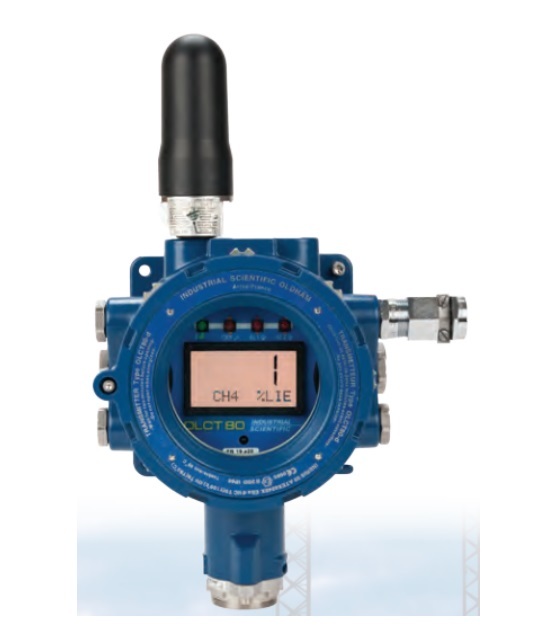 Wireless connectivity is now possible in ATEX 1 zones thanks to the Oldham OLCT 80 Wireless Transmitter. The maximum range is 3km, line of sight. The number of field detectors, the area coverage and the network architecture will affect the type of network selected. Suitable for a wide choice of industrial detection and alarm system applications, the OLCT 80 is ideal for transmitting signal data. Transceiver operates at a universally accepted frequency of 2.4 GHz / 900 MHz and is able to transmit signal data from its analog or Modbus outputs. The wireless version of the OLCT 80 eliminates wiring costs and is very easy to commission in the field. The device can be associated with our MX 43 control panel, touch screens and audible or visible alarms. Wireless network integrity, security and reliability are guaranteed by using FHSS technology (Frequency Hopping Spread Spectrum). need a Master receipt module by network (B301563)"
GAS TRANSMITTER type OLCT 80 for use with IS sensors delivered without cable-gland & without sensor. ATEX II 2 GD marking on transmitter. ATEX II 1 GD approval on sensors.